We at Currey & Company often feel like our mantra is so many events, so little time, as we are racing from one market to the next and planning multiple happenings during these and in-between. 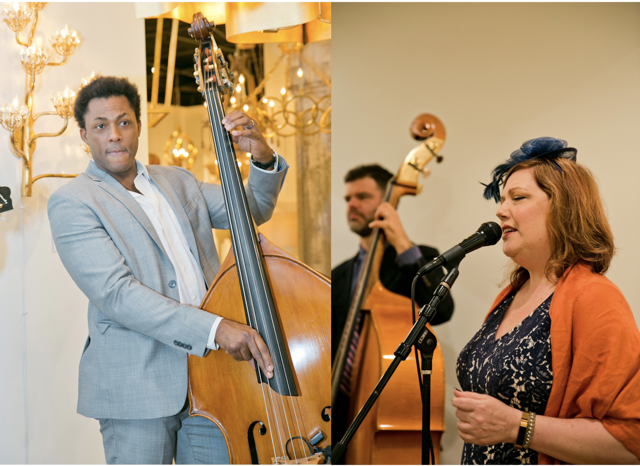 Our liveliest mix of entertainment events take place during High Point Market, which takes place twice each year. There are also two regional markets each year in Atlanta, Dallas and Las Vegas. Many of these are produced to draw design influencers in, to highlight new products that will debut or to share news of what took place during one of our unveilings. Posts may feature important people in our industry who have had book signings or highlight panel discussions that took place in our showrooms. 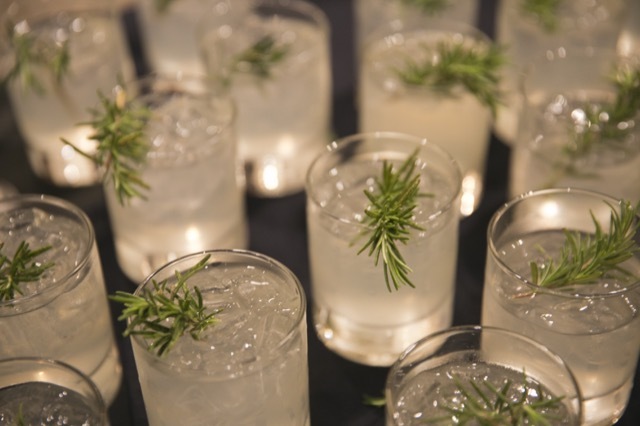 We’ve been hosting discussions geared toward hospitality design during the past several markets and we have had some of our favorite designers to speak on varied topics. The book signings are always lively, and the live music, and great food and drink we have makes our showrooms popular. 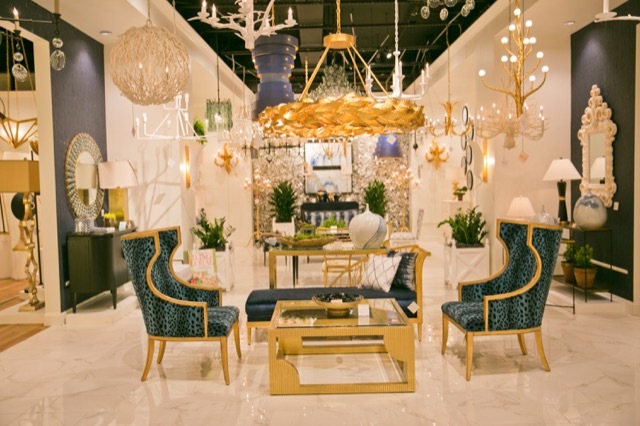 Spring High Point Market Gets Underway! 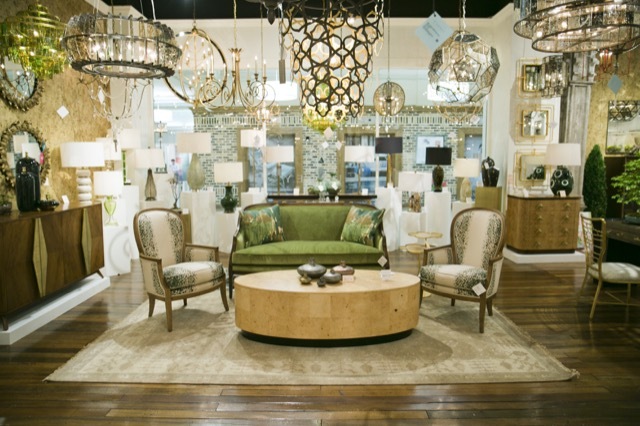 With the opening of the Spring High Point Market, we wraped up six months of celebration here at Currey & Company. 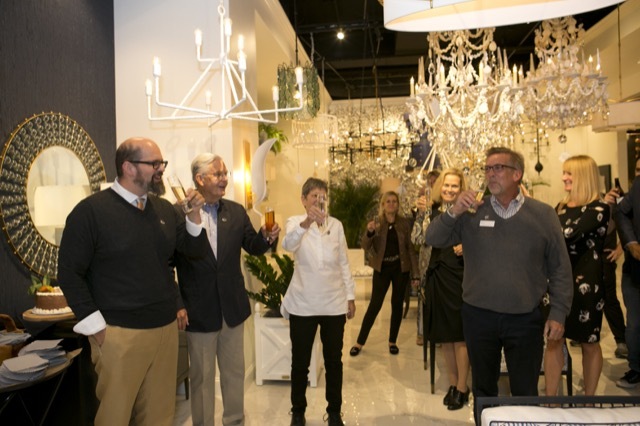 First and foremost, our biggest reason for the festivities was our 30-year anniversary, which we enjoying commemorating with all of you at the different markets beginning last fall in High Point. 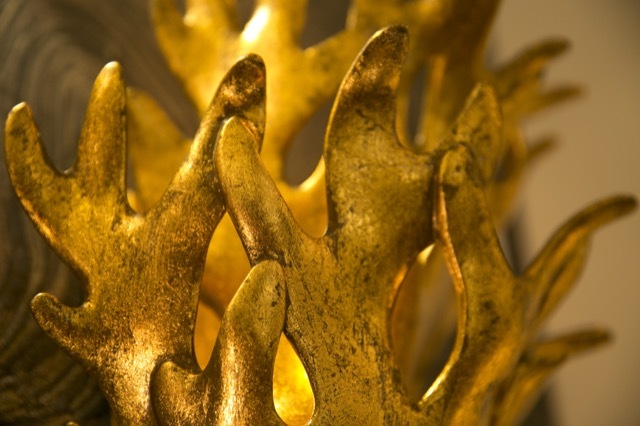 Aimee Kurzner wins Arts Award as Best Product Designer. 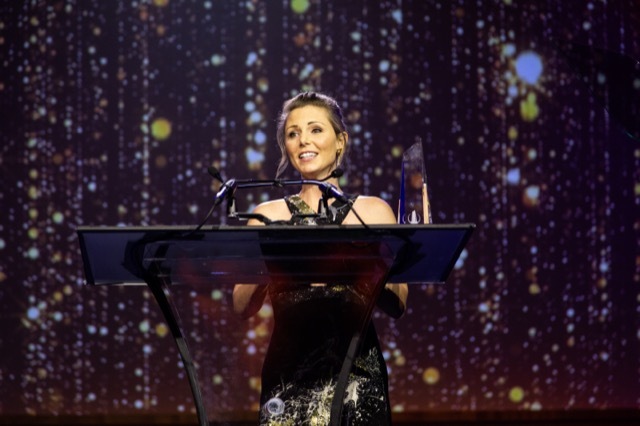 Then there were the Arts Awards nods we received during Dallas Market for accent furniture and for Aimess Kurzner, who took home the award for Best Product Designer. Two of our collaborators, Denise McGaha and Aviva Stanoff, took home trophies of their own. It was quite an evening to be sure! 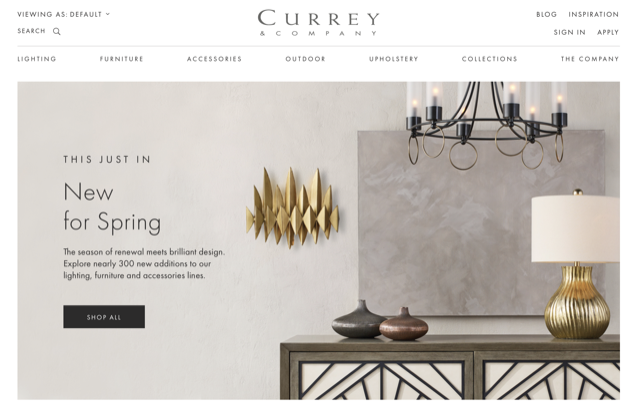 The New Currey & Company website is launched! We just completed the mammoth task of launching a new website to make it just as lovely to look at and more functional for those of you who use it to source our products so consistently. 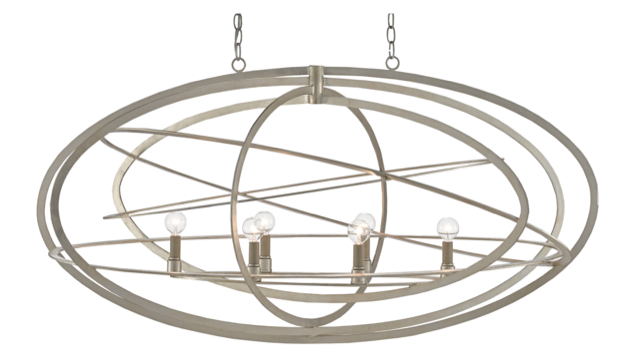 And speaking of products: last, but by no means least, we launched quite a few in High Point a few weeks ago that were manufactured during the past six months. These include one-of-a-kind accessories for the first time, the items sourced by our design team sourced during their extensive travels. The Currey family and Bob Ulrich toasting 30 years for Currey & Company. If you follow us here on the company said blog, you have read interviews we’ve conducted with some of our longest-standing employees and some of our newest hires during the past six months. 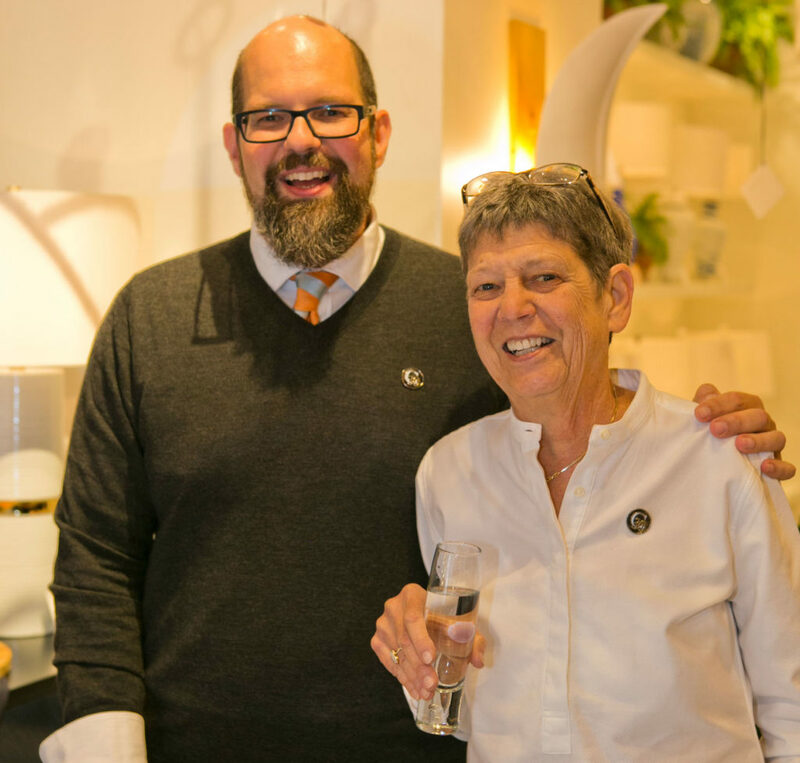 As a way to culminate our merriment over our three decades of success, we’ve left our final five conversations for last, going to the heart of the family business with our chats with Brownlee, Robert and Suzy Currey. 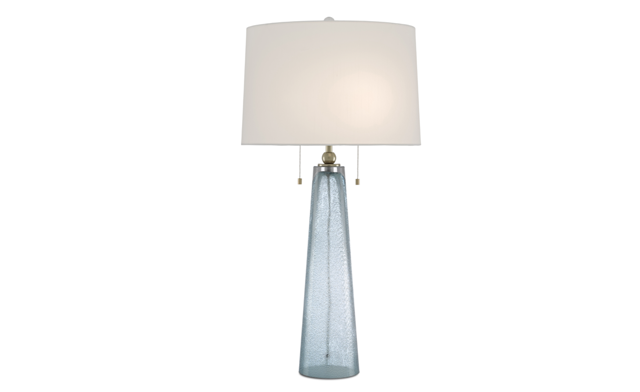 The Octavius Chandelier, one of our bestsellers during Spring Market. Wrapping up the post, we asked Bob Ulrich and Cam Meriwether to chime in as to what makes our company so special. We’re illustrating their interviews with shots of our luminous showroom during High Point and a few of our bestsellers from Market. We hope you have enjoyed celebrating with us as much as we have loved including you in our cheerfulness over our three decades in business. 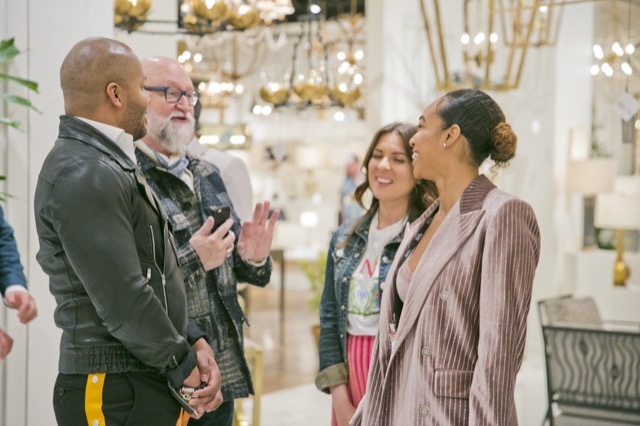 VP of Creative, Cecil Adams, giving showroom tours during Spring Market. The way forward, he believes, will bring challenges from a changing marketplace, which makes it critical that we continue to assure our customers and our collaborators that they are valued. “As we make the changes necessary that allows us to continue our evolution, it can be uncomfortable and it can stay uncomfortable for a while,” he explains. “This makes it imperative that we help our customers and vendors stay assured as we advance.” One of the biggest shifts he sees coming will be in the retail landscape, a subject he knows so well given his background. 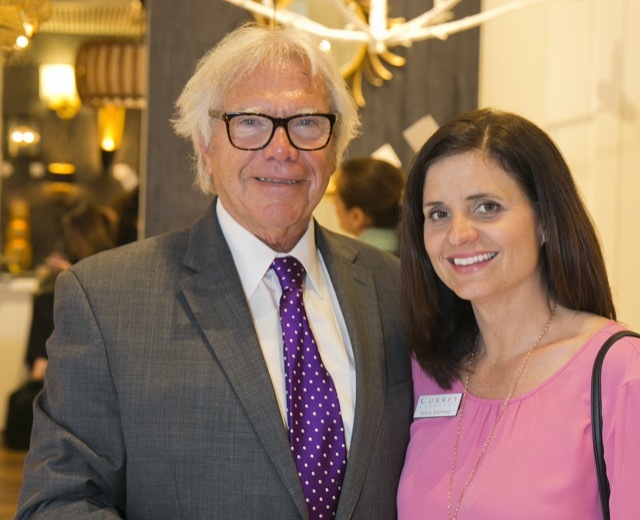 Sonny Koontz with Leslie Shappard during Spring Market at High Point. 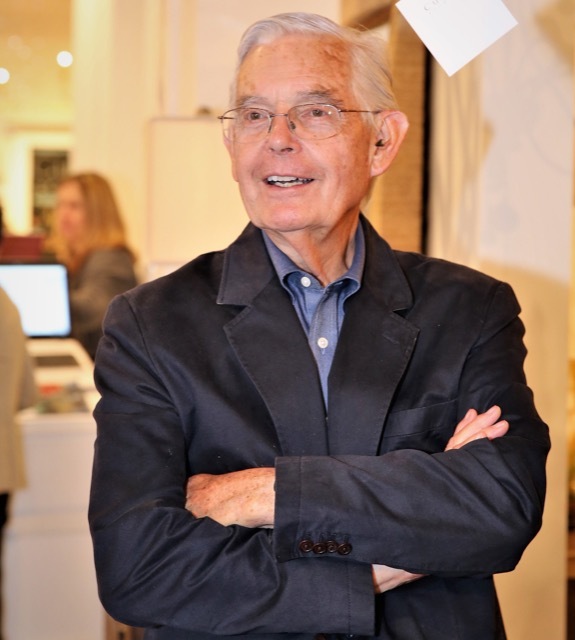 Robert Currey during Spring High Point Market. 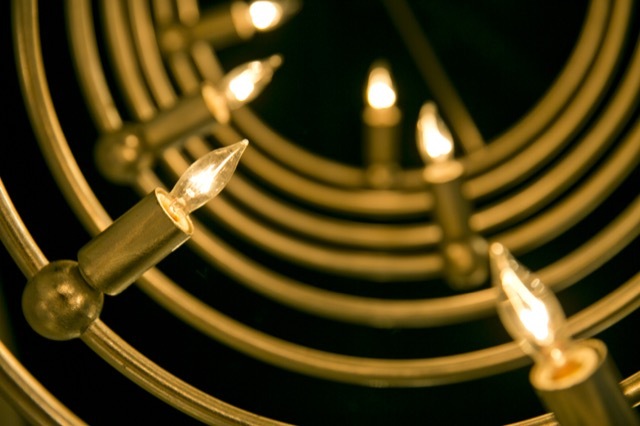 In his view, there is no aspect of our development that doesn’t stimulate pride. “I walked through the warehouse looking at the distribution rows the other day and I marveled at those neat, tidy rows that I used to have such a tough time accomplishing,” he says. “The group of people in the office and on the plant floor take such great care of things, they make me so proud.” Calling the strength that has been built by our people a fairy tale, he says the founding of our company grew out of a necessity. Celebrating in High Point every six months includes live music. 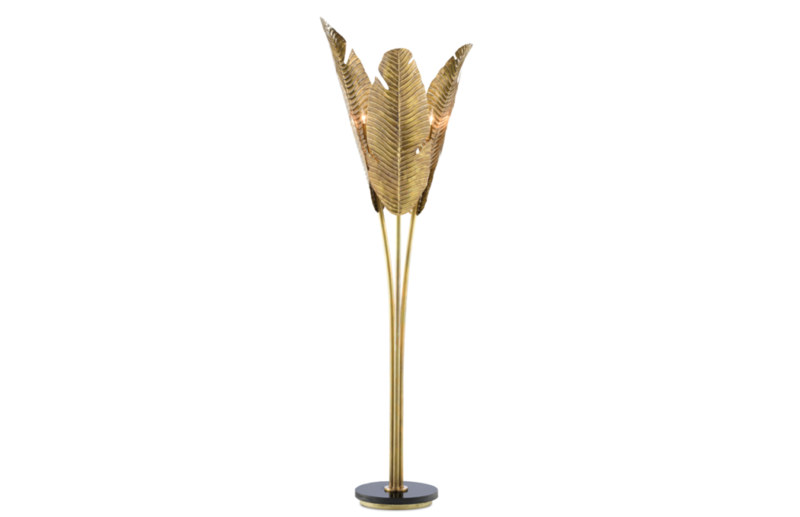 Our Tropical Floor Lamp was one of our bestsellers during Spring Market. 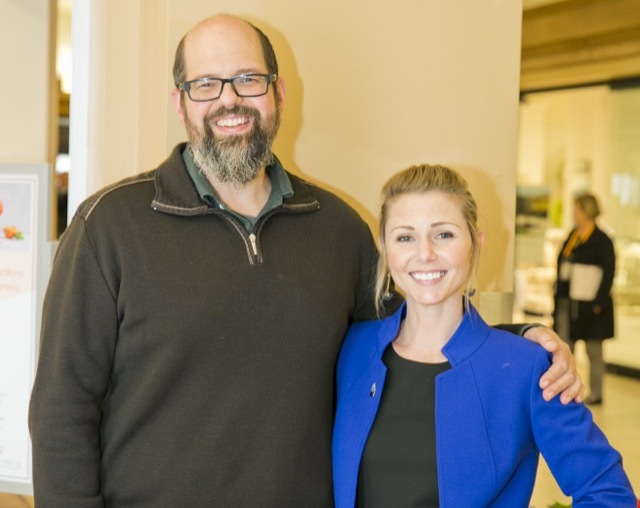 As one of our founders, she reminisces about Robert’s courage as a risk-taker and her role as the earliest voice to message our brand and to set our customer service policies. “I always think of myself more as a writer than a talker,” she explains. “But I always felt comfortable talking about our products because I knew them so well.” She calls our evolution during the early years an organic process that she enjoyed watching unfold. She helped to nurture this development for so many years as she provided the language used to describe our products and our brand. 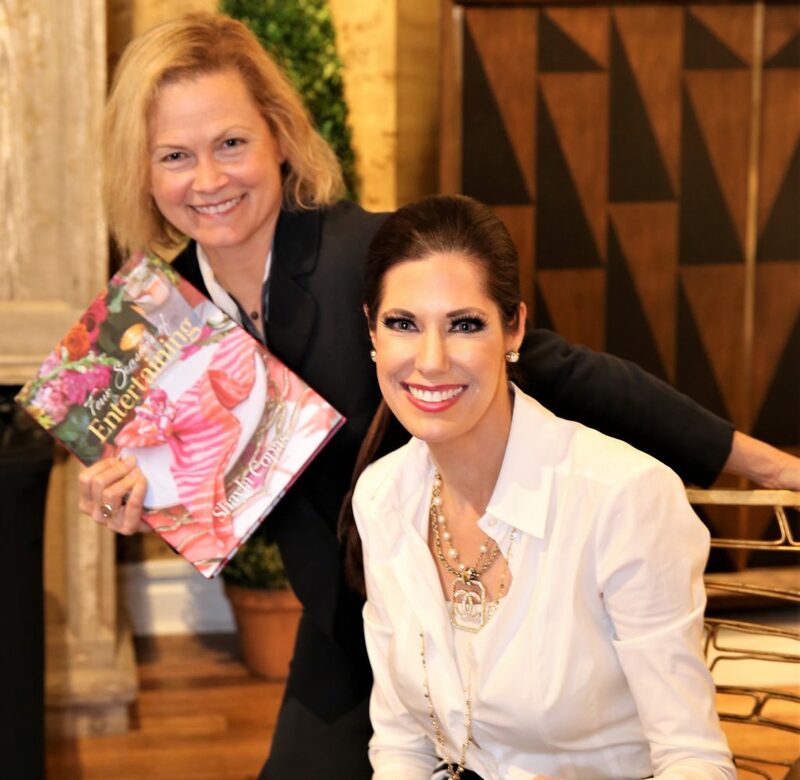 Brownlee with Shayla Copas signing her book Four Seasons of Entertaining. She explains Brownlee has come to this naturally, the extent to which she illustrates by sharing a story she enjoys telling about the day they brought him home from the hospital when he was born: “We were on our way home from the hospital and Robert wanted to stop by Storehouse. He told me he wanted to take Brownlee in, but not through the front door; he wanted him to enter the store through the loading dock because he didn’t want him to get the idea that he was too fancy!” She says the fact that Brownlee grew up with Storehouse and Garden Source at the hub of his earliest years set him on the path he is on now. “He’s good at what he does and he comes by it pretty naturally,” she adds. 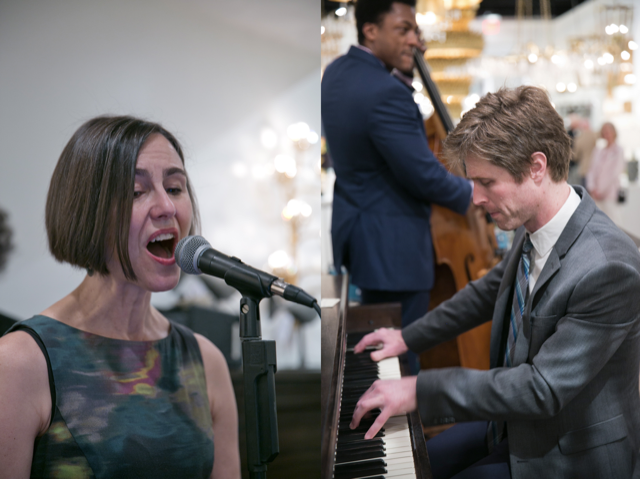 Among our celebratory events in High Point are daily sessions of live music. One of the facets of our evolution in which she takes great pride is the educational efforts we undertake for all of our employees. “It has been so wonderful to watch it evolve,” she explains. “We have someone great running the program, and it is pleasing to me to see how people are able to so easily attend ESL and computer classes because these opportunities have changed lives.” She also believes our philosophy of allowing people to move from position to position when they are ready continues to benefit everyone who helps to make our operations run so smoothly. 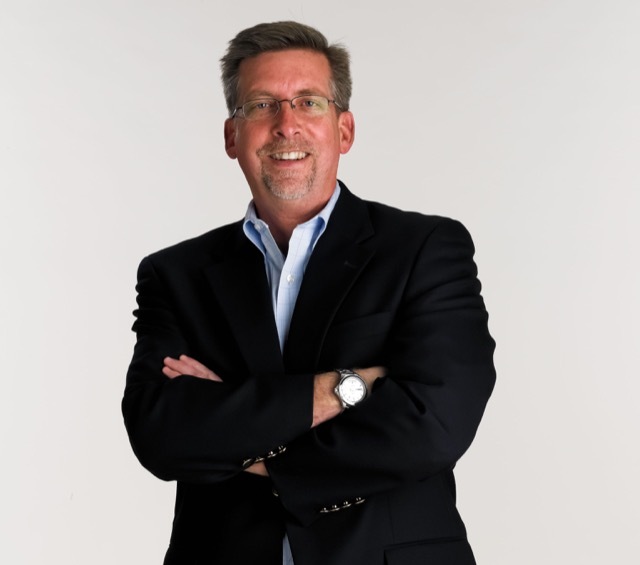 Bob Ulrich has been with Currey & Company for over two decades. 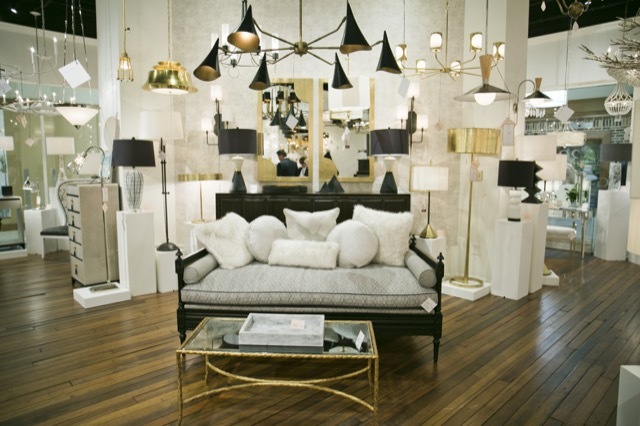 A vignette in the Currey & Company showroom during Spring Market. Twenty-four years later, our culture has changed a bit with Brownlee at the helm, and Bob celebrates the healthy environment built by both generations of the Currey’s, as well as the management we have tapped to help them. “The interesting thing is, everyone has access to the top and the bottom of the company,” he adds. “There’s an openness in our organization that wouldn’t be like this if we hadn’t been building the culture intentionally for the past two-plus decades.” Top of mind for him (and us) is being easy to do business with so that there are no hurdles created for reps and customers to have to circumvent. Andrea Combet, West Coast Regional Representative, snags a copy of Shayla Copas’ book. Bob believes we have the ability to create such a broad spectrum of products because of these relationships we’ve built in towns across the globe, and he says it has happened by design and, to some extent, by osmosis. “It’s the journey that has brought us here,” he explains. “And spending every day surrounded by such talented people is inspiring.” He believes the educational opportunities everyone has here, courses of study that span from ESL [English as a Second Language] classes to masters degrees, figure in keeping everyone content. 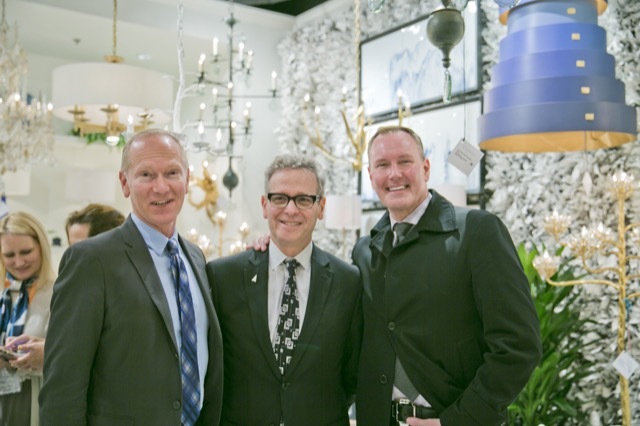 Barry Goralnick, one of our collaborating designers, flanked by Keith Gordon and Barry Darr Dixon. Cam Meriwether, VP of Manufacturing. The quality of our products like the Looke Table Lamp, one of our best sellers during Market, is possible because we have such a talented store of talent in our employees. He believes that the fact we have employees in management who have worked entry-level jobs creates mutual respect, which results in an openness because so many on the team have “been there.” He sees our heritage as a culture of empowerment, a culture of “let’s get this done,” and he credits Brownlee for being open and willing to listen to anyone who wishes to speak with him about their point of view. 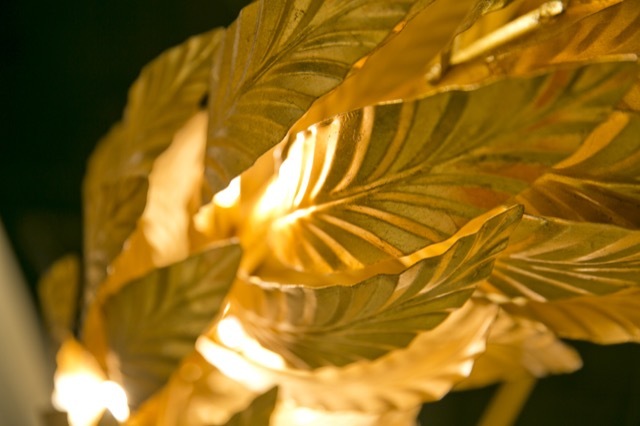 Our High Point Showroom captures the beauty we are determined to create. 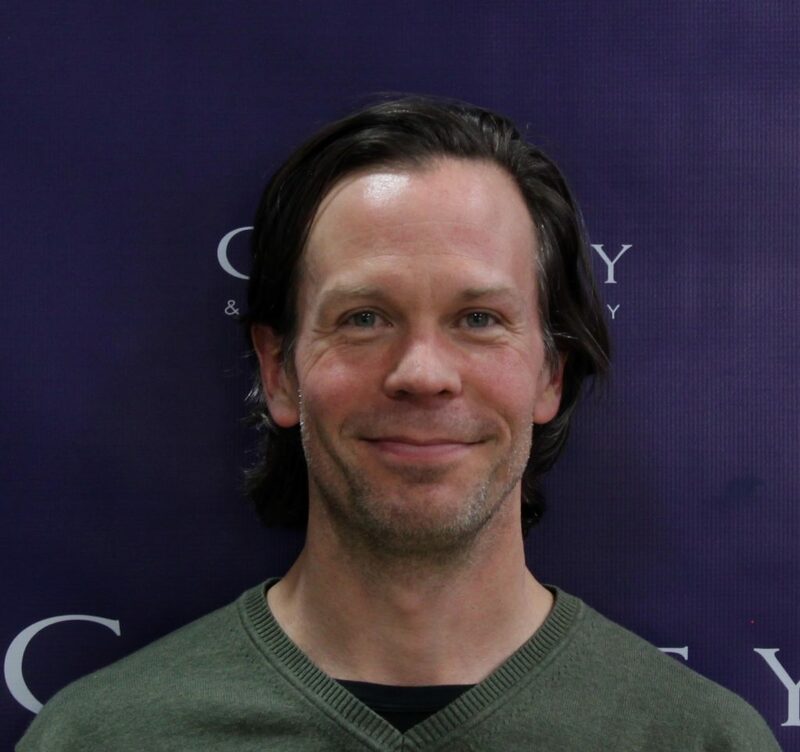 We hope you have enjoyed reading about the take a few of our company leaders have on our culture and the points of view of the Currey family as much as we enjoyed sharing them with you. Now, here’s to the next 30 years! 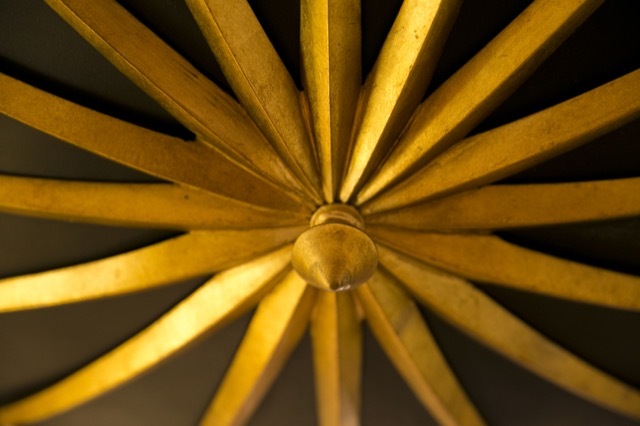 Images in this post by Beth Tilley Green. 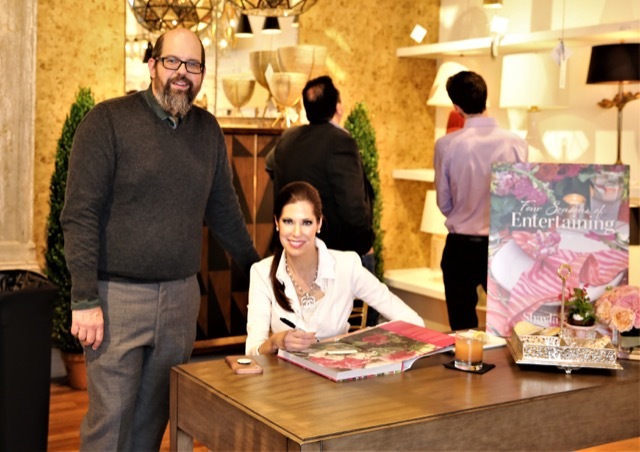 This entry was posted in Currey & Company, Market and tagged book signing, Company Happenings, design influencers, Education, Events, Furniture, Lighting on April 17, 2019 by Saxon Henry.